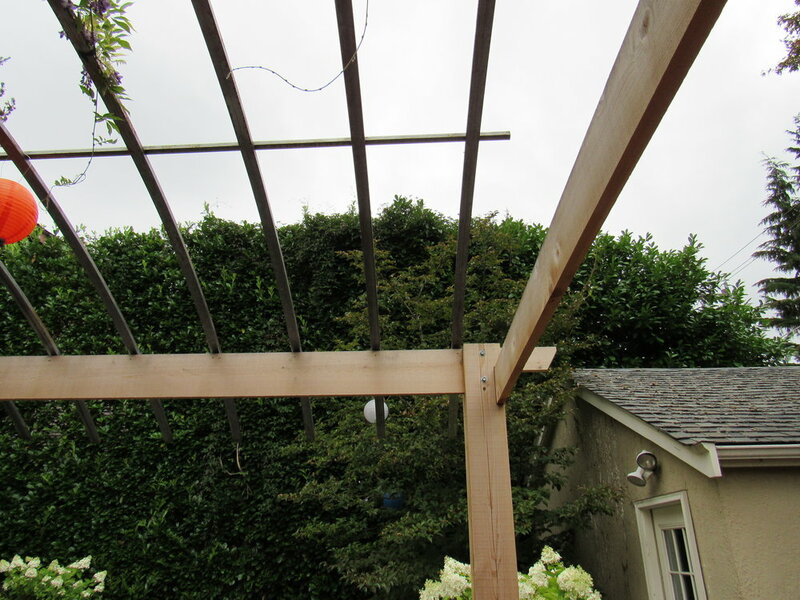 This project involved building a simple and elegant wood post arbor with curved steel arches. The arches were roll formed and fastened to the wood stringers and posts. The arbor created a great entertaining/dining space in the backyard. The wisteria wrapping around the arches adds a great touch to it. The custom designed gas fire feature in collaboration with the clients, adds a wonderful sitting and gathering focal point on the patio.